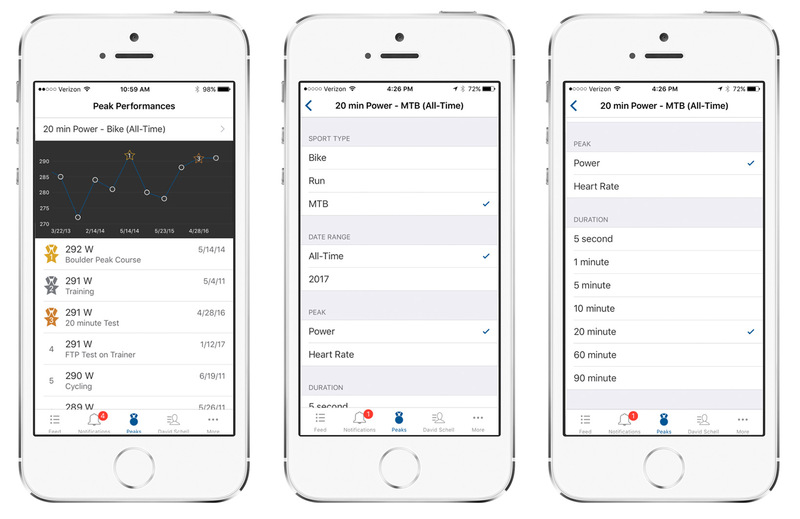 TrainingPeaks is happy to announce the release of Peak Performances for all Premium athletes. Every time you produce a peak power, run pace at a given distance, or heart rate you will be rewarded with a medal indicating that you have achieved a new Peak Performance. A graph showing where each Peak Performance ranks among others of this year and/or all time allows you to track progress over time. Peak Performances allows you to quickly see improvement and progress toward your goals through awarded medals on new peak power, heart rate, or pace numbers on all bike and run workouts. Achieving a goal is about consistency and progress over time, laying the foundation and then building upon it with longer, faster and often more intense workouts. While the goal is the ultimate destination, knowing whether or not you are on course to reach that goal is just as important. Peak performances will let you know how are you doing in that pursuit with every workout you upload. 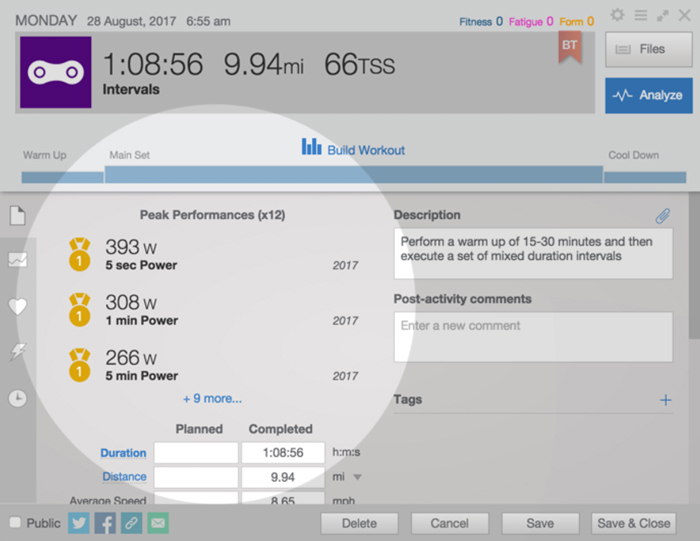 To get started using Peak Performances simply record a workout and then upload it to your TrainingPeaks account. If the workout contains a peak power, heart rate, or run pace at one of the defined distances it will be denoted by a medal icon on the workout or your home view. Opening the workout will reveal all the peak performances for that workout along with a number showing where it ranks. A round medal is for a metric from this year while a star denotes an all-time best! 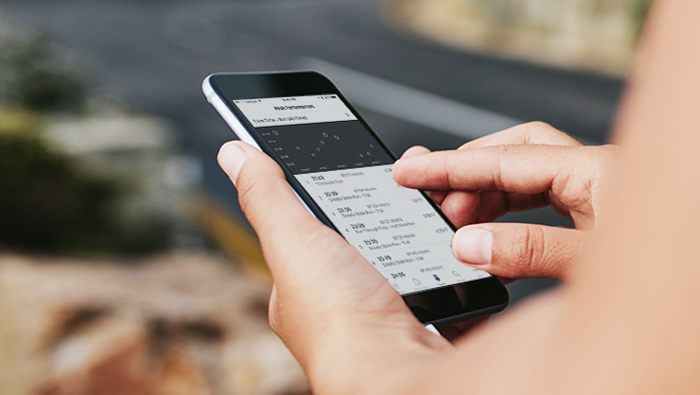 To gain a historical perspective on your performance, click the medal icon at the bottom of your mobile app to show up to 20 best bike or run performances over this year or all time over the durations or distances that matter most to you. Is 20-minute power the key to your mountain bike success? Trying to set a new personal best for the 10K? You can now easily track your progress and highlight the top three performances of the year or all time. 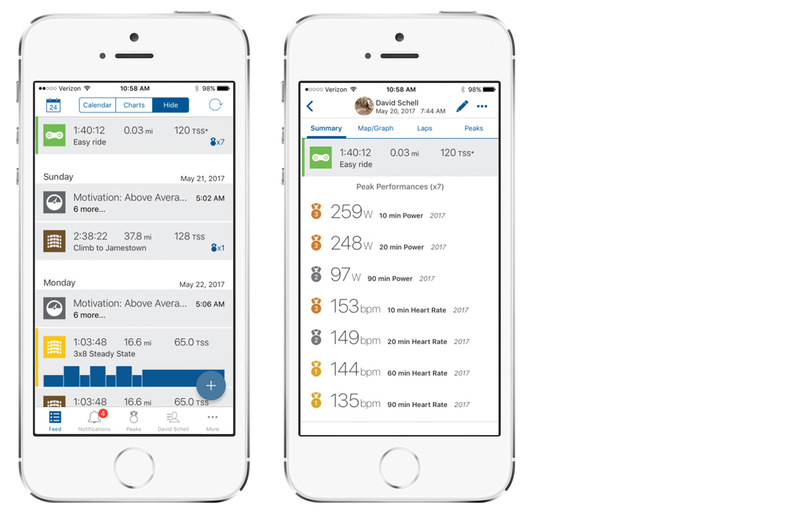 Peak Performances provides you with another way to track your progress over time as you work toward your goal. 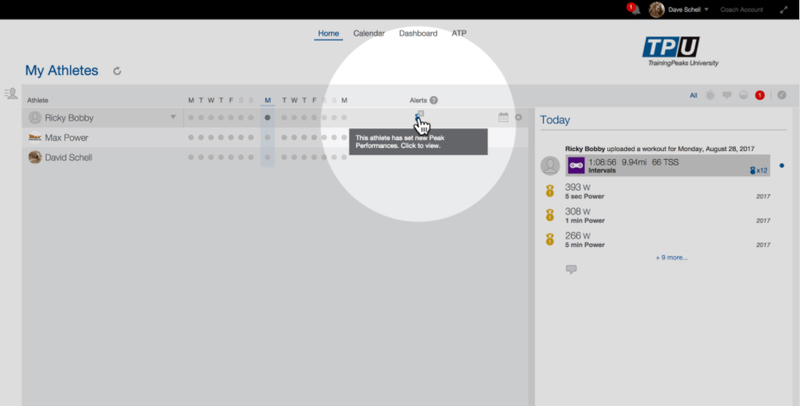 Take this new feature out for a test run by logging a workout today!